I’m very, very thrilled to announce some exciting news… I’ve got a new writing gig and it’s with a company and publication I admire and respect greatly; Forbes. 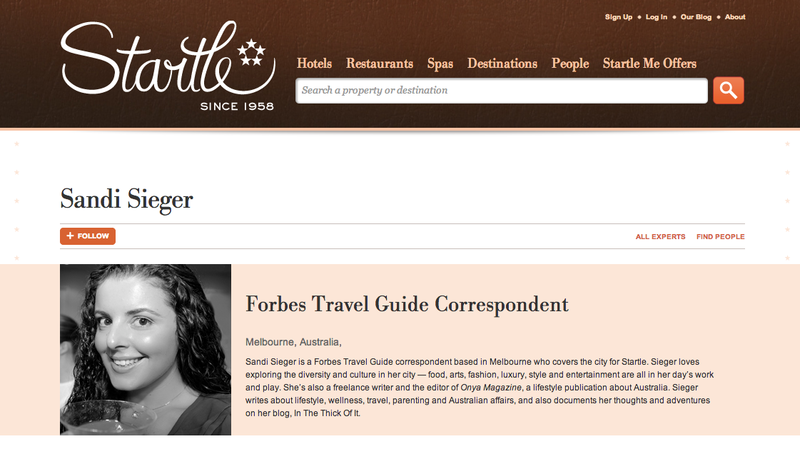 As of, oh, well, now, I can add Forbes Travel Guide Correspondent to my bio. And I couldn’t be more excited. I’ll be writing about (one of) my favourite cities in the world, Melbourne. Blogging, answering questions and providing expert advice. Congratulations. Forbes, a great name to put on your bio.